This sauce recipe totally impressed me. It’s so versatile. 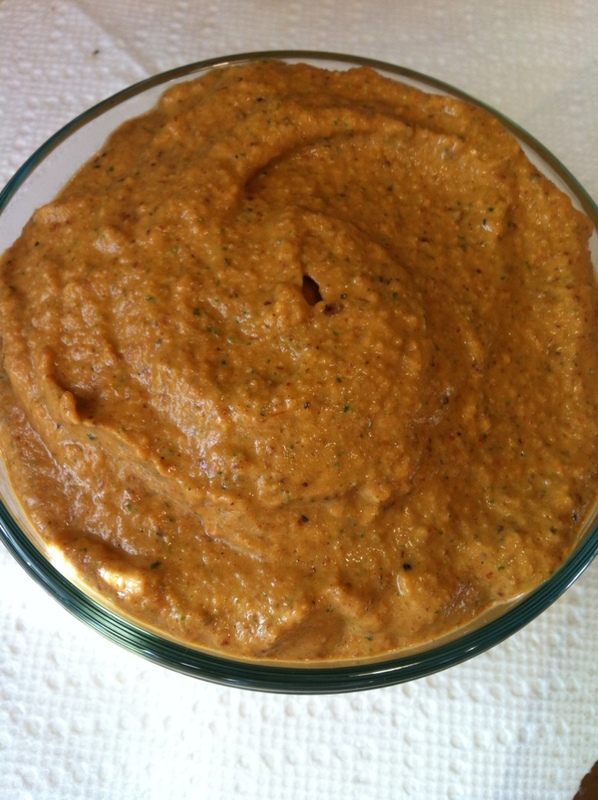 You can use it as the sauce for pasta (as I did) or even as a dip. 1. Preheat oven to 400F and line a baking sheet with parchment. 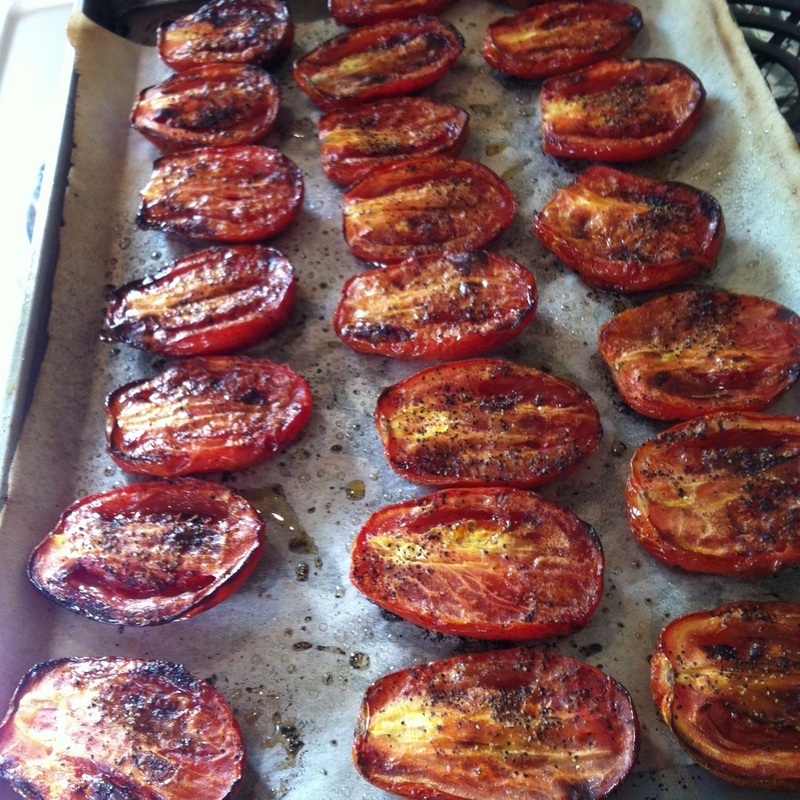 Place sliced tomatoes on the sheet and drizzle with oil, salt, and pepper. Roast for about 1 hour and 10 mins at 400F. Watch closely during the last 15 minutes of roasting. 2. Reduce oven heat to 325F and toast almonds for 8-10 minutes. Add 1/3 cup into food processor and process until finely chopped. I left mine a bit chunky for texture. Remove and set aside. 4. Add in the oil, optional nutritional yeast, and 1.5 cups of roasted tomatoes (you will have tomatoes left over). Process until smooth. Pulse in 1/3 cup toasted almonds. Season generously with salt and pepper. I think I used about 1/2 tsp salt or a bit more. 5. Pour your desired amount of pesto over the cooked pasta and mix well. Chop the remaining roasted tomatoes and stir into pasta.